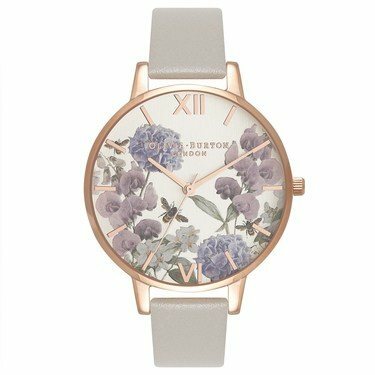 Grey and purple florals make a dreamy Olivia Burton combination in this beautiful watch. Style with rose gold and silver jewellery for a chic mixed metal look. Picked this lovely watch really close to Christmas as I am clearly not organised! I was aware of issues in delivery but these guys got it to me next day no problem. the good lady loved it. Great mix of colours and fantastic design on the front.